While the meat-only dieting trend known as "carnivory" has exploded in popularity, some doctors warn that there are potential long-term health risks to eating only meat every day. Proponents of the "carnivory" lifestyle, such as Travis Statham of New York, tout benefits of the diet such as weight loss and muscle gain. The DASH eating plan is low in processed foods, salt and sugar. The women shared their inspirational stories, and weight-loss tips, with "GMA." Followers of the movement solely consume meat -- no fruit, no vegetables, no carbs. Their argument is loosely based on the idea that cavemen ate only meat as part of their diet. Statham told "Good Morning America" that he even consumes meat raw. "The hard part is raw takes a little more chewing," he said. Statham says eating solely meat helped him to eliminate cravings, shed pounds and build muscle. Celebrity doctor Dr. Drew Pinsky told "GMA" that he tried the diet out himself for three weeks, and said that he felt it helped improve his energy levels. "Within four to five days I felt so much better," Pinsky said. "I lost a ton of weight, my strength went up, my sleep went down, my energy went up." 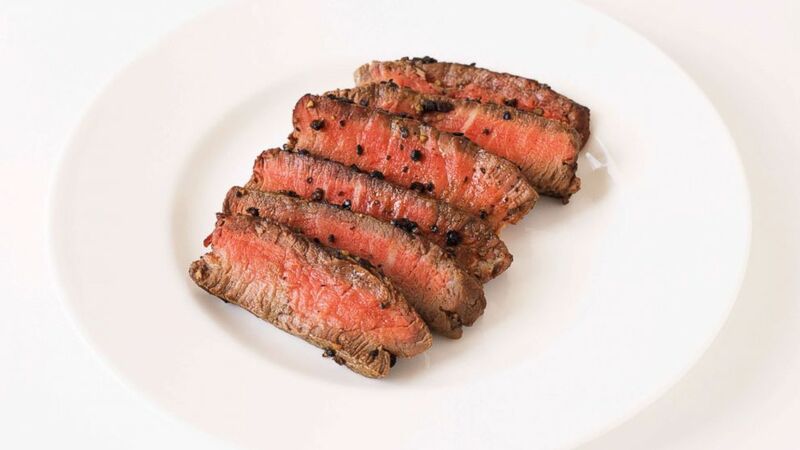 (STOCK PHOTO/Getty Images) Steak au Poivre is pictured in this undated stock photo. Statham said that his girlfriend, Stephanie, also tried out the diet and now swears by it. "I lost 30 pounds without exercising over the course of a summer," she told "GMA." "Every day, I felt great." Stephanie added that she also felt "there was no afternoon burnout." While Statham said he usually starts his day with coffee, the rest of his diet consists almost entirely of meat. When ABC News' Zachary Kiesch met up with him for lunch, he scarfed down four burger patties topped with some cheese and bacon. "This is how I live my life," Statham said of his order. "This will probably last me until tonight." For dinner that night, Statham said he had a pork chop. Passionate about his meat-only lifestyle, Statham also runs a Facebook group for fellow "carnivory" dieters where they can share their stories, recipes and tips amoung each other. "I think everyone should be willing to experiment," Statham said of his diet. 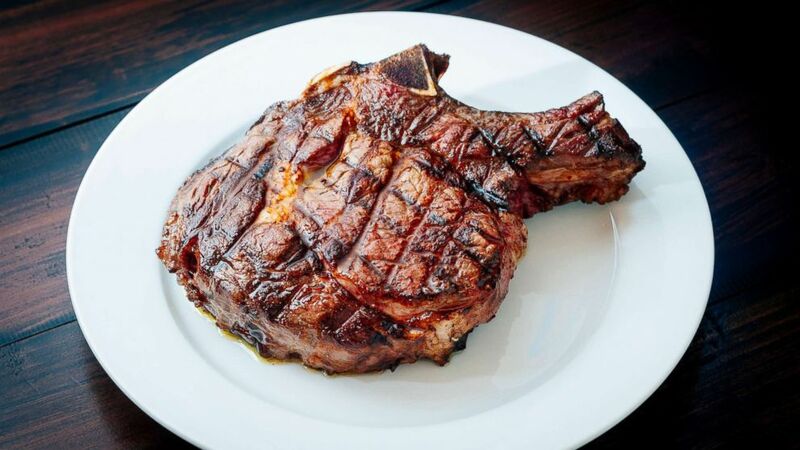 (STOCK PHOTO/Getty Images) A grilled steak is pictured in this undated stock photo. ABC News' chief medical correspondent Dr. Jennifer Ashton warned that eliminating everything except meat from your diet, however, can carry certain risks. For starters, Ashton said that the long-term effects of this diet could be harmful for a person's kidneys. Kidneys filter waste, but when too much protein in the body, they can't function properly. In addition, Ashton expressed concern that people won't receive vital micronutrients, including certain fats and carbohydrates, by only eating meat. The idea that cavemen only ate meat is also false, according to Ashton, who cited a recent Scientific American article that claimed the earliest humans also ate berries, tropical plants, carbohydrate-rich sugary melons and starchy roots. Ashton said she would recommend a vastly different diet -- one that consists of a fish, such as salmon, vegetables, such as broccoli and spinach, carbohydrates, such as strawberries, and fats such as feta cheese.